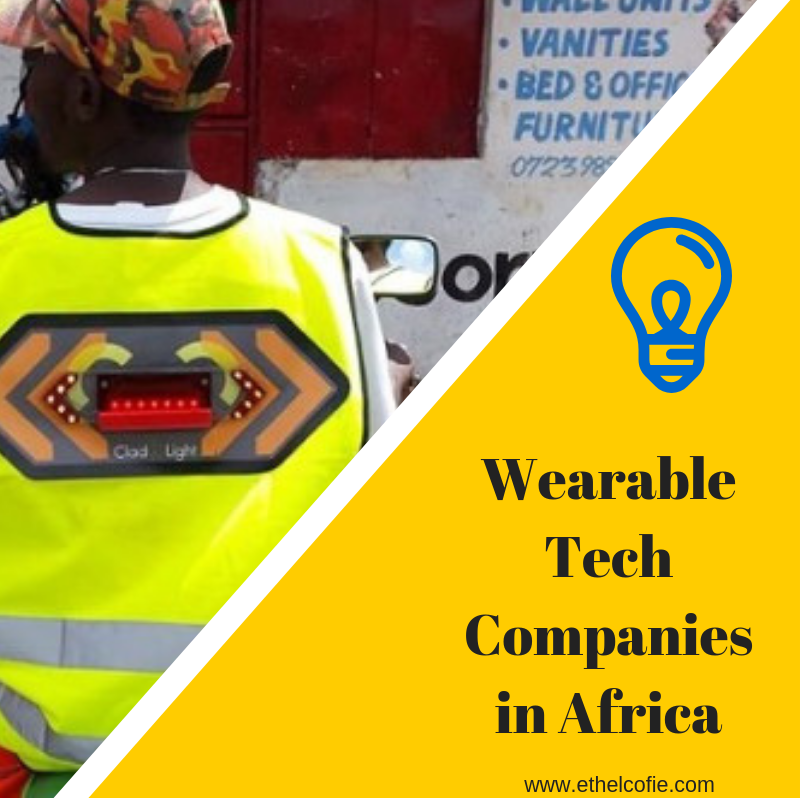 Widely believed to be one of Africa’s first wearable tech companies, according to cruchbase CladLight is a wearable technology company that seeks to increase the visibility of the motorcycle rider. The CladLight electronic gadget features bright LED lights that clearly show the when the rider intends to turn or stop. The control of the lights is done automatically from a sensor installed in the motorcycle. It communicates with Bluetooth ensuring reliable real-time indication system synchronization. LifeQ , now a global company headquartered in Atlanta , started in the city of Stellenbosch in South Africa . 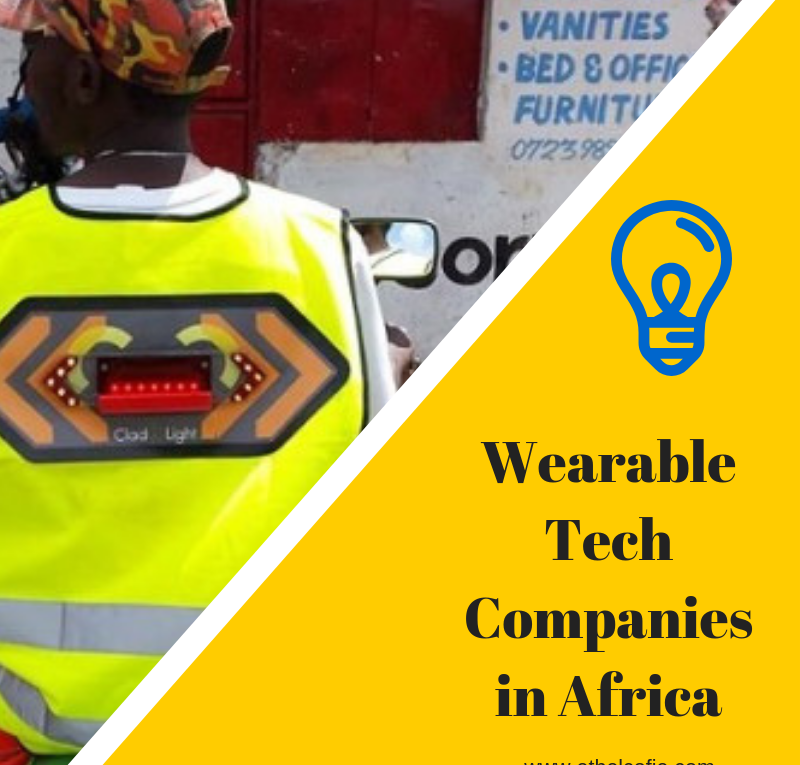 The company is one of the more interesting health startups coming out of the African continent. LifeQ’s mission as an organization enable health optimization in individuals by “computational systems biology” and “bio-mathematical modelling” approach to extract and deliver of relevant and meaningful person-specific digital biomarkers from various curated data sources. They do this with 3 main product lines LifeQ Lens, LifeQ Core and LifeQ Link and through collaborations with insurance and corporate wellness firms , who use this data to make better informed decisions for their clients, essentially creating an ecosystem of partners who help extract the information or use that information for relevant and better information across the globe. In 2016 LifeQ partnered with wearables company Striiv to leverage their product LifeQLens a multi wave optical sensor that enables the collection of bio data from individuals . LifeQ licenses LifeQLens which when integrated with the hardware of the wearable provides and easy no intrusive for the collection of relevant bio data.